With Thanksgiving early this year, you have that much more time (a matter of two whole days) to enjoy more Holiday music before the always quickly approaching Christmas deadline. There are quite a few artists’ solo albums released this year (Rod Stewart’s Merry Christmas, Baby) among the familiar tunes we annually welcome into our homes. Likewise, the compilation albums have made their way into our 2012 year. It is these where we find the low-key, soft and cozy Holidays Rule. Christmas music doesn’t have to be all bells and whistles, enormously amplified with a 10 piece saxophone band, snythesizers galore and voice changers. Bringing things back to natural vocals, acoustic and piano ensemble we can appreciate the essence of these songs we have been listening to since our childhood. This cast of artists does just this, though adding their special touches, whether harmonies are their specialty, multiple strings, or jazz guitars it truly makes for a perfect holiday album. There are a few artists I hadn’t heard of before, though became interested with the boasted bigger names (fun., The Shins, Paul Mcartney) and this worked. The theme of Holidays Rule is basic simplicity with a delicate and pleasant unique dusting. There tends to be more folk, especially with artists like AgesandAges, The Civil Wars, Black Prairie, and Heartless Bastards. Though there are droplets of jazz (Irma Thomas with Preservation hall Jazz Band’s “May Every Day Be Christmas”), indie rock (The Shins “Wonderful Christmastime”), latin (Y La Bamba’s “Senor Santa”), and pop (fun.’s “Sleigh Ride”), the mellow nature seems to stick. “(Everybody’s Waiting For) The Man With The Bag” by Black Prairie featuring Sallie Ford jumps out at you for being exhaustingly creative, carefree and playful. Vocals are rich and tastefully appropriate, while instrumentation throws in banjos, trumpets, and…do I hear an accordion? 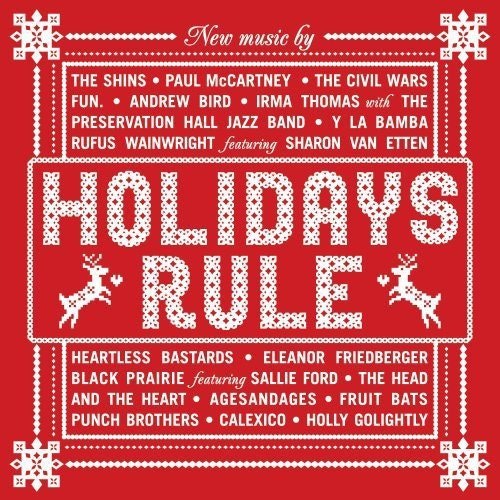 On the other pendulum swings, Rufus Wainwright and Sharon Van Etten’s “Baby, It’s Cold Outside.” This hands down is my favorite version of the song (which is either hated or loved depending on its rendition). 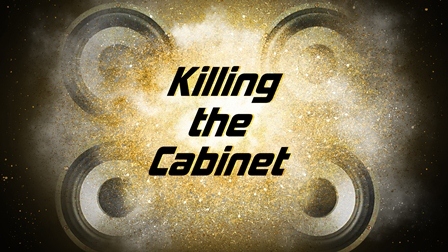 Wainwright’s vocals are smooth and intoxicating; while Etten’s deeper voice floats through his and balances the duet effortlessly. Finally, catching me by surprise (though it shouldn’t) comes the talented Andrew Bird’s “Auld Lang Syne.” Typically I hate this song, it’s so boring and I fall asleep in two seconds. Bird agreed with me, plucking his guitar in up-tempo swift movements with a tactfully inserted fiddle, a soft foot stomping takes over and you realize how good this song actually can be. Of course, Bird’s classically country vocals break away from any Irish Tenor connection you may previously have had. The range of carefully chosen classics are large and from multiple genres and decades. Overflowing collections from different countries, some religious, while others 1950’s American hits (“Sleigh Ride”) you never know what’s going to come next. Yet, there is a place for all of them to snuggle into to make a wonderfully finished work. So while washing those Thanksgiving Day dishes, crank up Holidays Rule and plunge yourself into the holiday season one classic tune at a time.